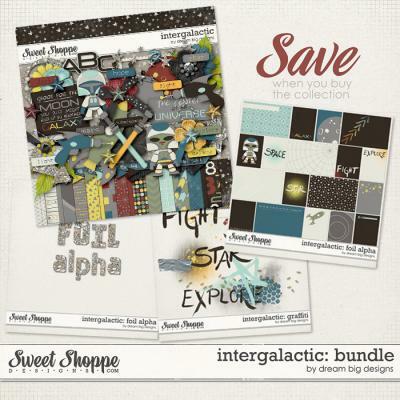 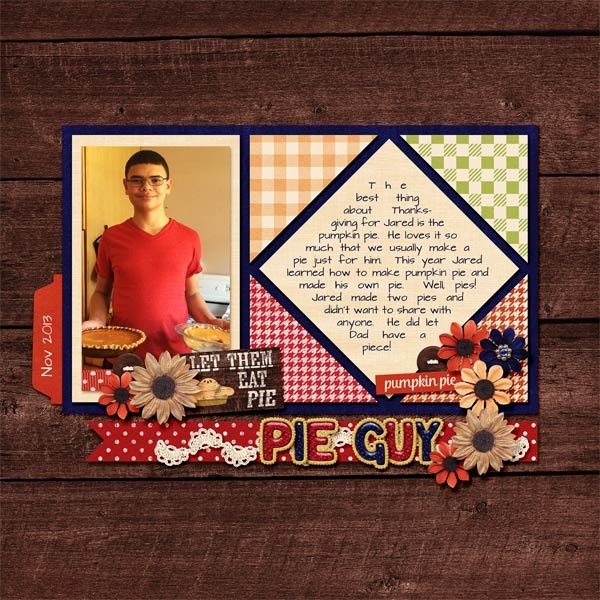 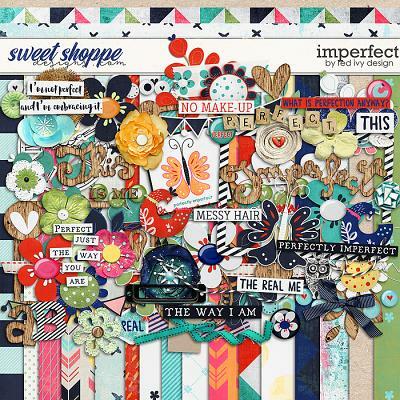 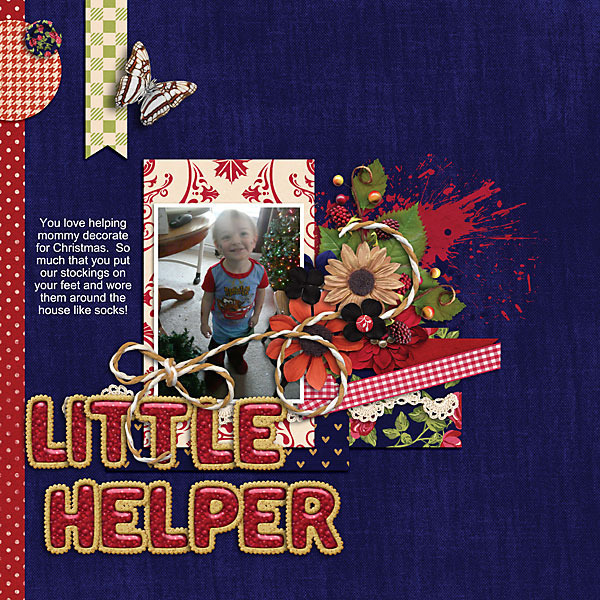 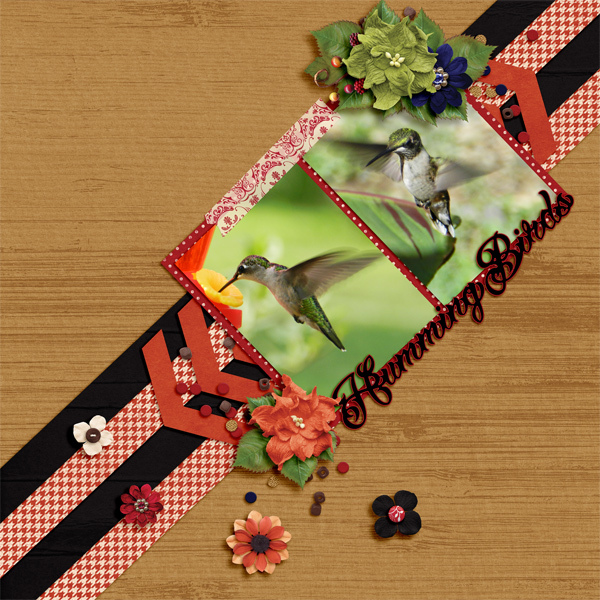 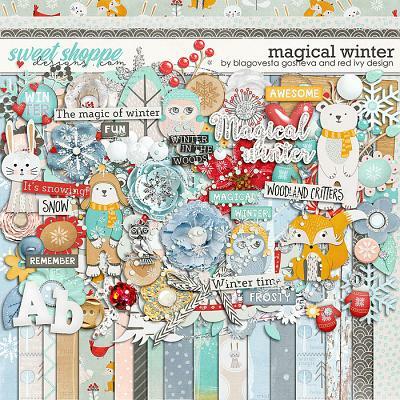 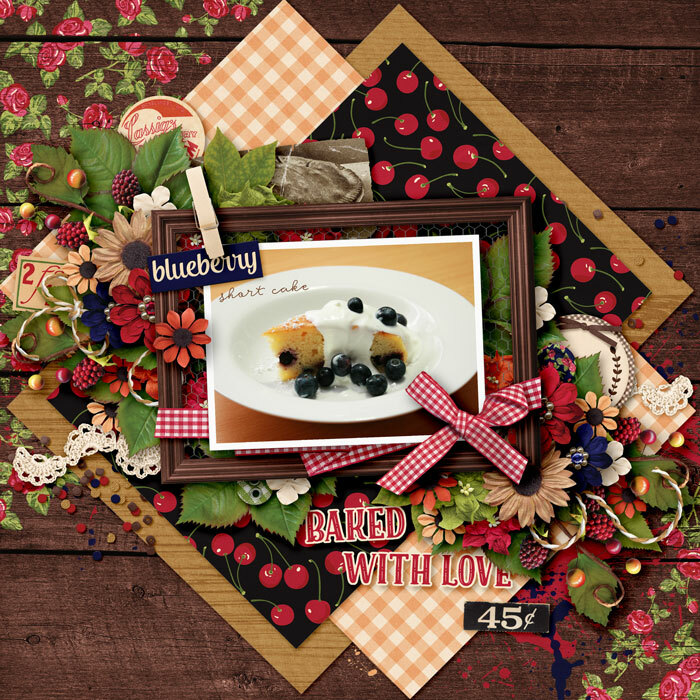 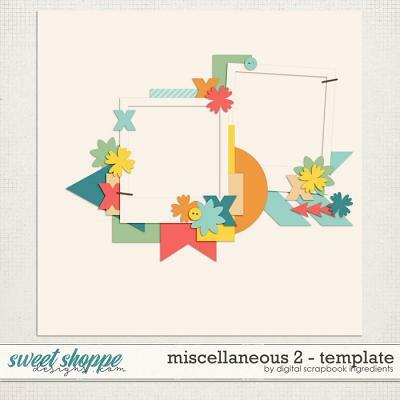 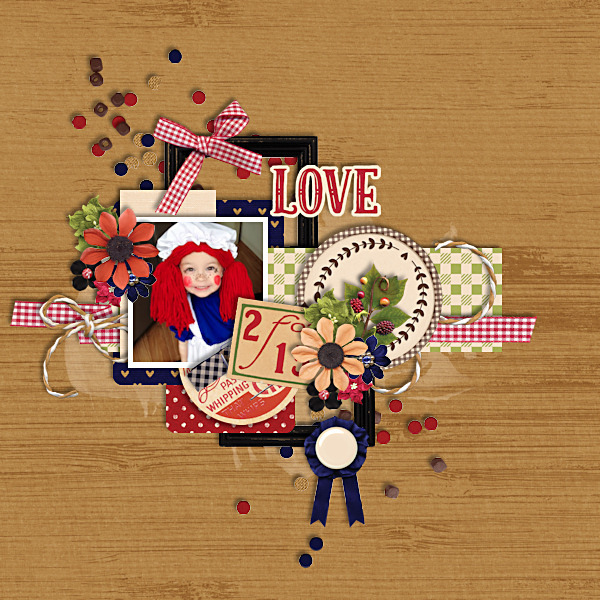 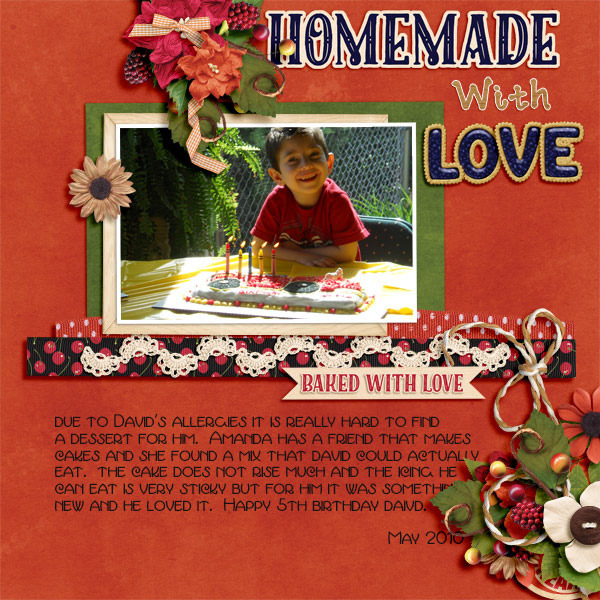 A digital scrapbooking kit by Grace Lee, Love of Pie is all about pies! 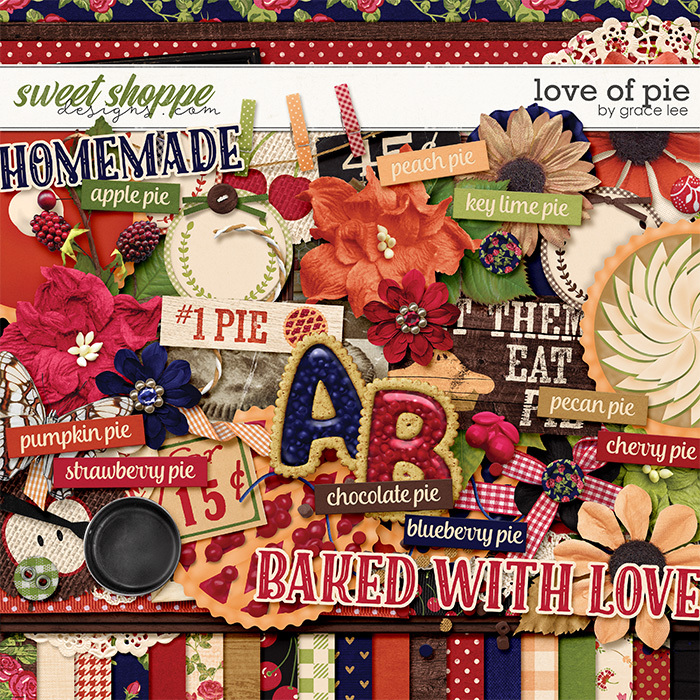 Seriously, who doesn't like pies? 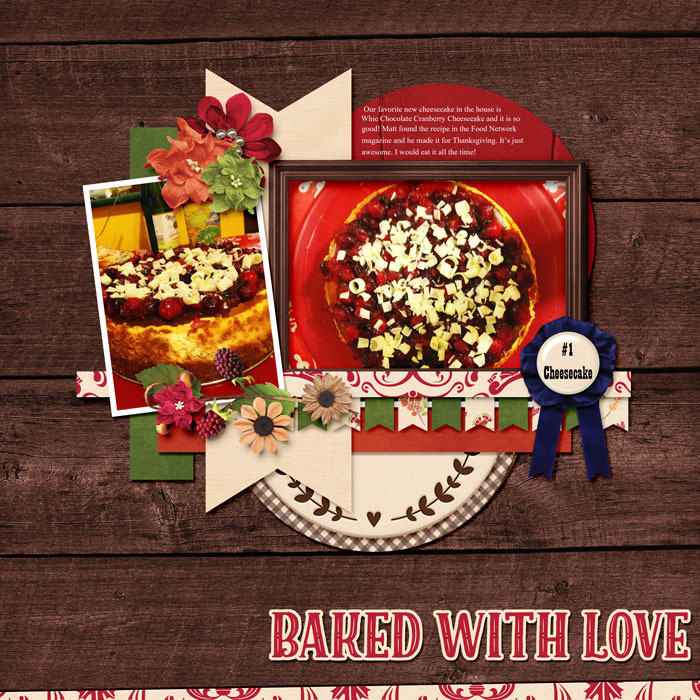 Sweet or savory, pies evoke feelings of comfort, love, and happy memories shared around the family table. 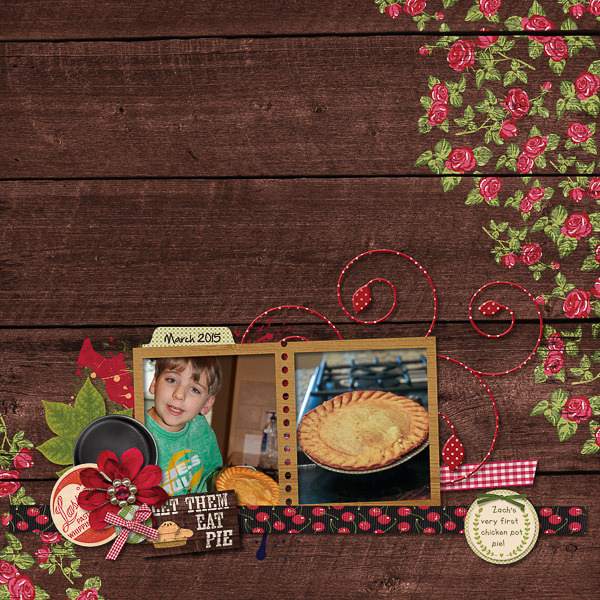 This kit draws inspiration from beautiful country kitchens; with rich colors and vintage patterns and elements, it is great for baking and family gathering layouts as well as any page where you need a rustic flair.